One of the challenges faced by brands looking to build a presence on Amazon's voice platform, Alexa, is the difficulty of creating a voice that isn't Alexa's. The barriers to creating a unique brand voice - one that can encompass all syllables - are so daunting that the prudent option is to just work with Alexa's default voice. Nevertheless, some brands are managing to retain their identity and personality despite the use of a single female voice. 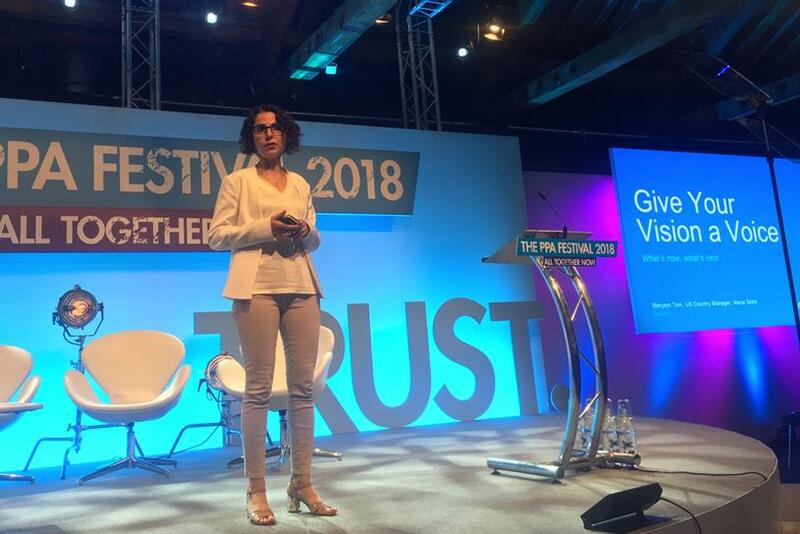 "With more than 40,000 skills on the platform, we've started to learn what works and what doesn't," Meryem Tom, head of Amazon Alexa UK and Ireland told the PPA Festival in London today. "The best ones stick to skills where they are in a position of authority and authenticity. Good Housekeeping's skill, for example, helps customers answer questions such as 'How do I remove a wine stain from a white sofa? '," Tom said. Others have key phrases that speak to their brand's personality. "Just Eat will say, 'You've ordered like a bawse [boss]!' while Ocado responds with 'okie dokie' when you ask it to add items to your cart. Meanwhile, Domino's tells you to 'put an end to pizza panic'. These unique phrases help bake in branding into a skill," Tom said. "What you create today as a voice experience that’s magical in six months becomes not very interesting," Tom said. "Or you launch in the market but don’t continue to do work on it leading to the skill becoming stagnant and sub-par. So going in with both feet is important." Desiging for voice is different. "You can’t just bring in your mobile app you need to think voice-first and invest in voice design – the conversation and the sound," Tom said. "It really is different." "Speaking of jumping it with both feet, it's worthwhile investing in user testing to see if the conversation works and is friction-free. It pays off in the long run," she said. CNBC's skill updates its markets data every 15 minutes. The Guardian's voice skill is intuitive. Chompers for OralB teaches kids how to brush their teeth with fun content. It's relevant to what the brand stands for. Daily updates on a publisher's flash briefings helps make it a morning habit. Arsenal FC's skill, which provides live commentary of matches, was highlighted.